To sit there and watch and listen to the falls is mesmerizing... It is comforting to know that such unbelievable and beautiful locations still exist in this world and that there is a lifetime of inspiration to be found in them. 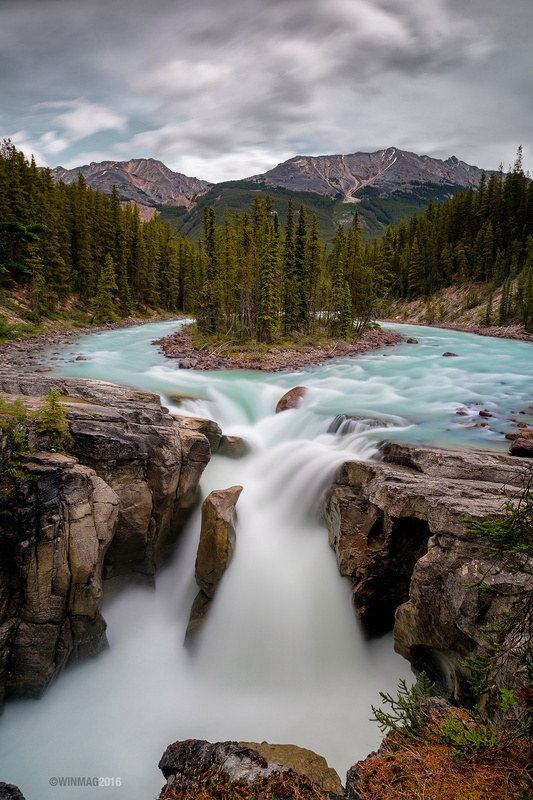 Sunwapta Falls, Jasper, Alberta Canada. THank you Matthias! really glad you like it, love this place. Its one of the most beautiful place i have been to.